Five litre refill bag of bokashi to produce a natural, rich soil conditioner and liquid fertiliser. Made in Australia using wheat bran and rice husks that have been sprayed with a group of micro-organisms that exist freely in nature. 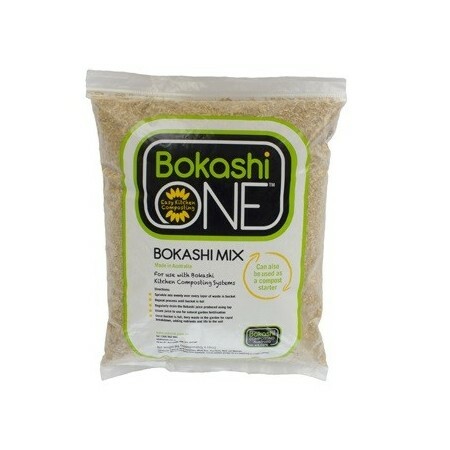 This Bokashi mix is dried thoroughly so it can be stored for years with no loss of effectiveness. The dry ingredients in the mix are simply a carrier and food source for the micro-organisms which are dormant when dry in the packaging and activate again when added to your waste. Bokashi ferments the waste in the bokashi bucket, eliminating unpleasant odours. When the waste is buried in the soil, the mix accelerates the breakdown of the waste and adds life and nutrients to the soil. This mix can also be used as a great compost starter! Freight surcharge:One Bokashi refill bag can be sent to every location in Australia at our standard P&H cost of $9.95. Orders of two or more refill bags, or when ordered with other items, may incur an additional P&H charge when sent to some areas of SA, QLD, VIC & NSW and all areas of WA, NT and TAS. We will confirm this with you prior to shipping. 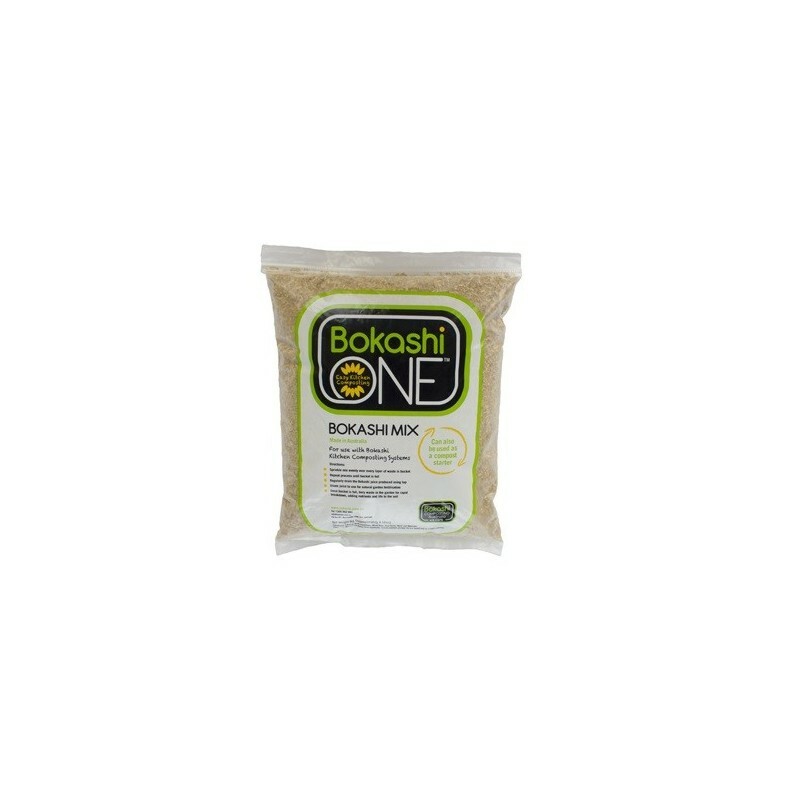 Place your kitchen waste in the bucket and sprinkle a handful of bokashi mix over every layer of waste. Use approximately one tablespoon of mix for every cup of waste. Use more Bokashi when adding high protein foods, eg meat, fish, cheese and eggs. Here's some other interesting info about the bokashi system. Compost is a very good source of nutrients for your garden, but because of the composting process, much of the goodness is lost. Fermented waste, however, retains all of the energy (no heat loss) and most of the nutrients in the waste, so that all of this material is available to your plants. Also, fermented waste has the bonus of providing beneficial microbes to your garden, and this will over time produce amazing results. Fermenting waste is far better than composting. Greenhouse gas emissions are greatly reduced during fermentation, there are no insect or rodent problems, and the end product is extremely valuable as a soil conditioner and fertiliser. Also, the process retains all the energy (not released to the atmosphere) and all the water is retained and not evaporated. Bokashi grains should be stored in a cool, dark location and the bag kept airtight. Great product. So easy to use with the bokashi bucket system. The sealed bag makes it easy to keep air tight. Good size bag and effective product. Bokashi is a super simple way to deal with your food waste! Have had my bokashi bucket for years, fabulous product, even for people living in appartments. The 5L refill lasted ages and ages!